In our previous article, we discussed “How to add items in Snapdeal shopping cart“. 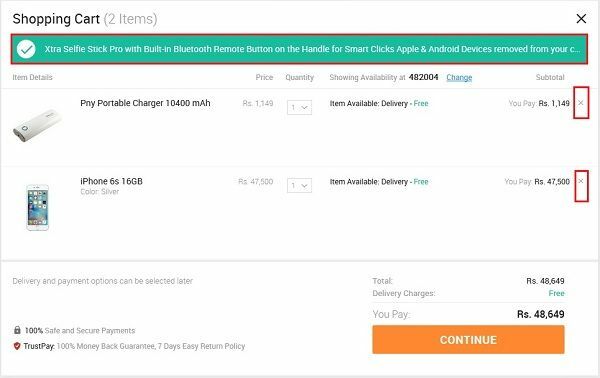 Now, in this article, we are discussing ‘How to remove items from the snapdeal shopping cart’. There may be a situation when your cart is filled with lots of products that you want to buy, but suddenly you are encountered with latest offers to buy the same product with some extra benefits. Don’t worry friends, in this kind of situation, what you need to do, is to simply remove the unwanted overpriced products and fill your shopping basket with new and latest products. 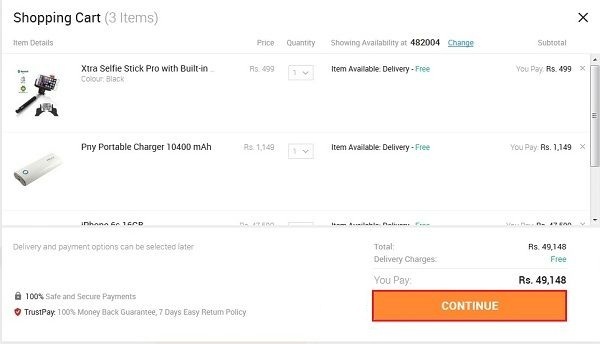 Just have a glance at this article to know how to remove items from snapdeal shopping cart. Step 1: First go to the snapdeal official website “www.snapdeal.com” and then click on “Login” button. Step 2: In the next step you need to enter your mobile number or email id combined with your snapdeal password and then click on the “Login” button. Step 3: Now, on the top right side of your dashboard screen you may see a shopping basket icon which is your shopping cart. Just, click that icon to open your shopping cart. Step 4: As soon as you clicked that shopping cart logo, you may see your cart with your selected items as shown in the image below. 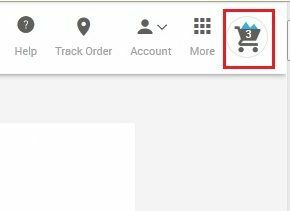 Step 5: Now, if you want to delete your shopping cart items, then click on the cross sign beside item subtotal as marked in the image below.